It is no news that technology has changed the way we work, communicate, transact or even live. Given it has already changed a common man’s life, it is unimaginable that technology doesn’t transform the competitive industry of financial markets. The research says that it already has. According to the “Global Algorithmic Trading Market 2018-2022” report published by Research and Markets, the global algorithmic trading market is expected to grow at a CAGR of 10.36% during the period 2018-2022. Currently, 75% of global trades are executed via algorithms and 30-50% of trades in developing economies like India are via Algo Trading. Trading, as we know, basically involves the buying, selling or holding of securities. Now, when we append the word ‘Algorithmic’ to trading, we are introducing the use of algorithms into trading. An algorithm can be defined as a set of steps or rules which are followed to solve some problems. Algorithmic Trading involves building and implementing trading strategies using computer codes and programming. A trading strategy is basically a plan or a set of rules which are defined to conduct the process of buying and selling while trading in order to achieve a particular outcome like increasing profitability, better execution, etc. 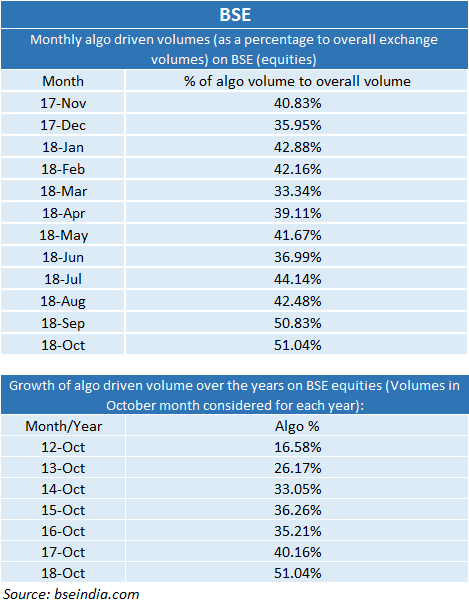 These trading strategies can be tested on historical data to evaluate how they’d have performed if they were traded as per the parameters during the given time period. This process is called as Backtesting, which helps one minimise losses and maximise profits as per analysis of their performance on the historical data. How is Algorithmic Trading different from manual trading? Manual traders place their trades by studying the market conditions, analysing the signals and charts and creating a trading logic accordingly. Whereas, in algorithmic trading, one can place a trading logic in a machine and let the machine evaluate the opportunities based on the live market conditions and thereby take or suggest a trading decision whether to go long or short or hold the position. One can also automate this process of taking trading decisions based on the analysis which eliminates human emotions from the decision-making process thereby reducing the risks involved in taking emotion-based decisions. How are Algorithmic Trading, Quantitative Trading, HFT and Automated Trading different from each other? How to start Algorithmic Trading? If a person is an absolute beginner with minimal knowledge of Algorithmic Trading, then he should start off by building three necessary skills. First, quantitative skills, which help in building better models and trading strategies. Second, trading skills to incorporate the basic knowledge of the working of financial markets and what affects them. And, the financial computing skills that help in coding the trading strategies and understanding models through a quantitative framework. A combination of these skills will enable one to successfully implement Algorithmic Trading strategies. 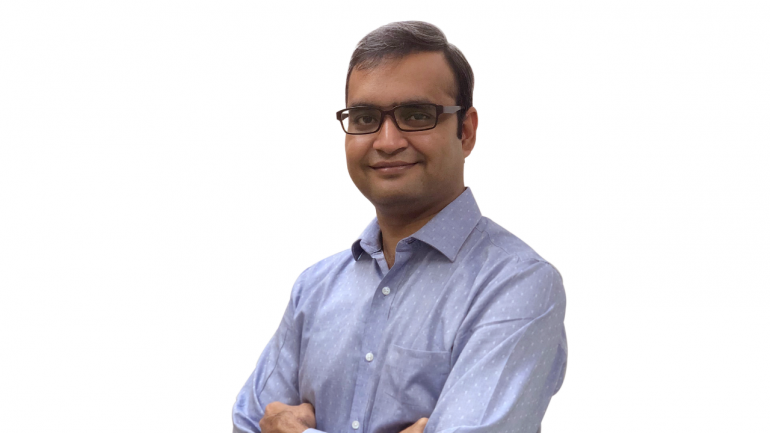 A person who doesn’t have adequate knowledge in this domain but wishes to build a career in algorithmic trading or start trading algorithmically, may start building his/her skills and start acquiring the financial as well as the technical knowledge required to become an Algorithmic Trader. Algorithmic trading has shown exponential growth in recent decades and still continues to maintain the upward trend. Technology is playing a huge role in taking over the tasks done manually by automating them. Just as the automobile manufacturing got transformed from shop floors crowded with people to the new age shop floors that are entirely managed & operated by robots, trading in financial markets have been evolving with the rapid adoption of technology & data analytics. In developed markets where algorithmic trading has been there for decades, algorithmic trading already accounts for more than 80% of the trading volumes in leading exchanges. 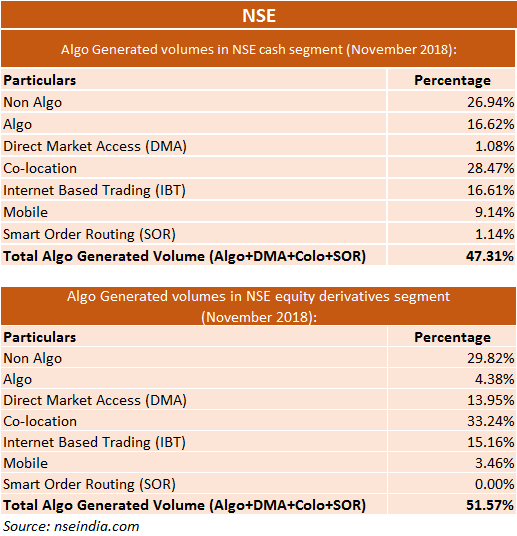 Indian markets, which witnessed algorithmic trading that was allowed by SEBI in 2008, today are also seeing rapid growth in the share of algorithmic trading with more than 40% of exchange volumes already being driven by algorithms. Technology is changing the way things are everywhere, make sure you have the power of algorithms on your side! The author is co-founder of QuantInsti, an Algorithmic trading training institute.